The X-Files returned to television last year with a special 10th season and will be back in early 2018 with more episodes. 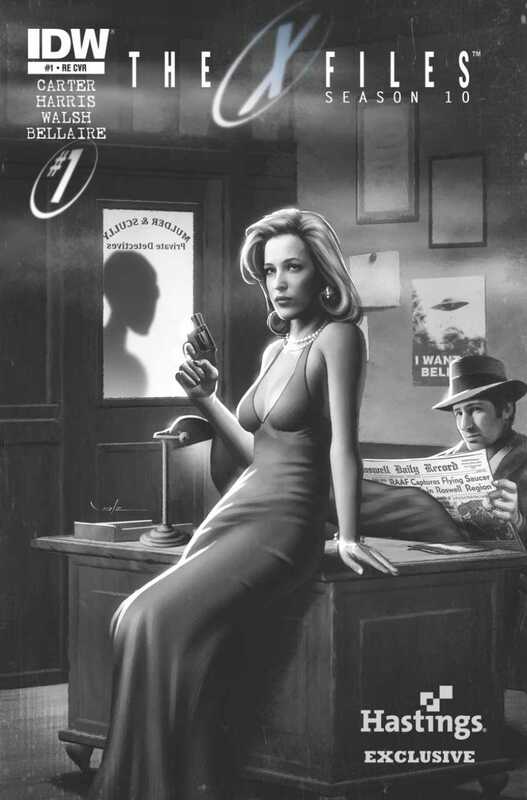 IDW Publishing however gave The X-Files a 10th season in comic book form back in 2013 and it ran for 25 issues featuring the further adventures of Agents Mulder and Scully. A perfect book for Halloween covers month and the first issue featured several covers. We chose this Hastings noir style exclusive as our favorite because it fits with the tone of the series so well.